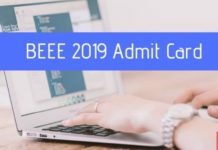 BEEE 2019 Counselling – Go through this article to know about BEEE 2019 Counselling. The process is going to be conducted by the Bharath University at Chennai in the month of June. Bharath Engineering College is the main campus of Bharath University that offers enrollment in B.Tech programmes. The counselling procedure will be based on the rank obtained by you in the Bharath Engineering Entrance Exam (BEEE) 2019 and seat availability. In this process, seat-allotment takes place based on your performance in the entrance test and seat-availability. Aspirants with higher ranks are preferred than those with lower ranks comparatively. You can get the admission once you have been allotted seat during the counhe link provided below. selling round at Chennai campus. Counselling takes place post the announcement of results of BEEE and is conducted by the Bharath University, Chennai. Only those aspirants who qualifies in the entrance exam can attend the counselling process that will be held at Bharath University, Chennai. The mentioned dates below are tentative and the conducting body has the right to change the schedule. It’s your responsibility to keep a check on official information on a regular basis to stay updated. The counselling process generally begins in the first week of May and runs till the next following week. It is strongly advised that aspirants reach the university 1 hour in advance in order to have a better understanding about event taking place at the university. Sometimes, you don’t carry your xerox or run out of photocopies of necessary documents then you can utilize the time in fixing the things into place. Certificates of Class X and XII Board as a proof of date of birth. Carry the mentioned documents along with one set of photocopies and be careful while filling up the demand draft as inaccurate details could pose you trouble. The seat-allotment will be as per the performance of aspirants in the Bharath Engineering Entrance Exam 2019. Those who acquired higher rank will be preferred. Even in the case of an emergency, the schedule cannot be changed as it is against the norms of the university to change the date and time of counselling. It won’t turn out to be in your favour if you decide to skip the counselling as you will have to lose your place in the seat-allotment even those with higher ranks would have to forfeit their seats to the lower ranks. 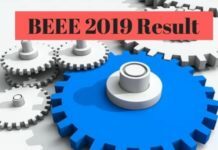 BEEE 2019 Result- Check Here! BEEE 2019 Admit Card- Download! 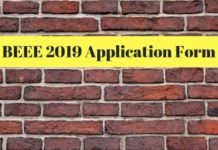 BEEE 2019 Application Form- Apply Online!